Woohoo, I have 8 more cards to go and I will be done for this year! As you have probably noticed, I'm using my Cameo a lot this month. (I am trying to use some of the many cut files I bought but haven't used.) This cutting file is from the Silhouette store. (see picture above with details from the store) Other supplies used: Bazzill Basics designer paper, Neenah white cardstock, rhinestones, silver cord and my Silhouette Cameo. 8 cards and counting! Well done Deloris, you've certainly worked hard to get all your cards created. This one is lovely, I particularly like the monochromatic colour scheme... red is always perfect at Christmastime. The bauble cut out is lovely, that snowflake is so intricate and pretty. You've been busy, busy, busy. Your card is very pretty and I really like the snowflake ornament. Have a wonderful Thanksgiving Day. 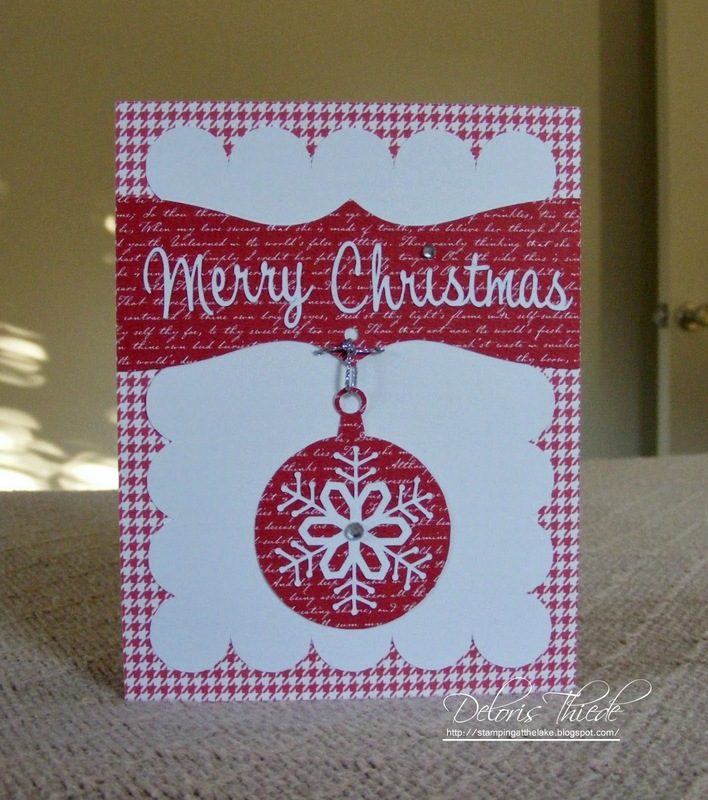 Ooh - you can't go wrong with red and white at Christmas - my favourite colour scheme. Thanks so much for sharing at Simon Says Stamp Wednesday Challenge. Thanks for joining us at Penny's Paper Crafty and I hope you'll be back soon!